To become more than "the boss" people follow only because they have to, leaders must learn to invest in people and inspire them. 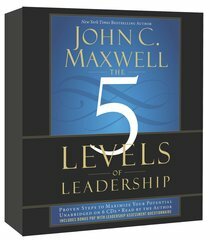 Leadership expert John C Maxwell shares the five levels at which leaders operate, and guides readers through them to the peak of success! About "The Five Levels of Leadership (Unabridged, 6cds)"